The stats for using video on social media are hugely convincing, but it’s not easy to create a video that will “go viral” or instantly capture large audiences to break through the cultural zeitgeist. 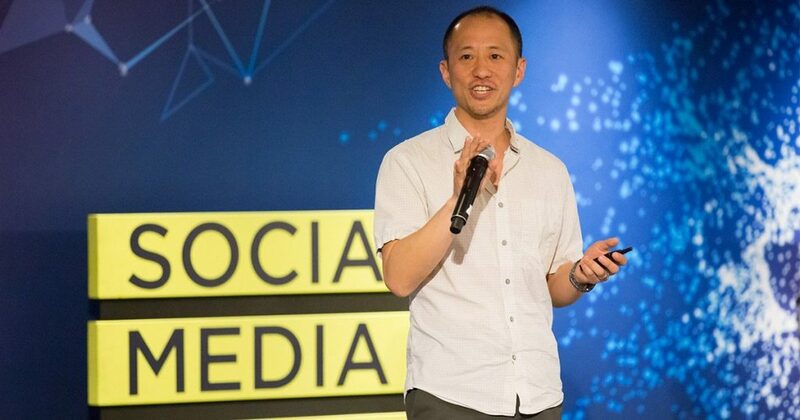 Speaking on stage at Social Media Week New York, Animoto’s Chief Video Officer, Jason Hsiao, shared three foundational elements to creating a successful video: creativity, connection, and community. When Facebook Live launched in April 2016, the announcement promised a big shift in how we communicate and, therefore, new opportunities for brands to take advantage of the format. With more than 8 billion video views per day, Facebook is indeed a top player in the social media video landscape and live video is an emerging means of delivering audience engagement. Hsaio emphasized that a good Facebook Live is not just about “taking out your camera and getting social media gold.” Live content needs to be more strategic than that. Consideration should be given to how a Facebook Live can be used to get involved with topical events and conversations. It’s also important to note that most views will take place later on, so treat a Live production like a regularly-produced video. Don’t waste the first few minutes waiting for people to watch, just dive in and share the most important part of the story first. Further, he added that since social video is mostly consumed on mobile, with audio switched off, using captions is a must. A square video format provides maximum opportunity within a news feed. Instagram is the second most popular social media platform and achieves the most engagement, but despite the buzz around big brand campaigns, the accessibility of content creation on Instagram has leveled the playing field for a range of creators in terms of both cost and production. “If you’re not on Instagram, you should be,” Hsaio advised. Video is changing everything. It’s the way people prefer to consume information. Video shared on social media is the most effective way to convey the most authentic version of you and your brand. Authenticity equals trust. Don’t think of video as a whole new type of marketing. Video should be seen as a way to amplify your existing content. Check out what content is performing best and convert it to video. To build a relationship with your audience, don’t approach video as an item on your marketing checklist. Video is a language we need to learn to speak. You can’t take the same video and use it across all platforms. Think native and understand the specific characteristics each platform has for video. Video can be used to reveal, answer, promote, invite, communicate, engage, educate, explain, announce, tell stories, introduce, preview… the list goes on. It’s the most compelling and effective way to reach your audience (because a video is the preferred way people want to consume information), which is why the “play” button is the most compelling call-to-action on the web right now. Hear more from Animoto’s Chief Video Officer, Jason Hsiao, onstage at Social Media Week Toronto 2018.